Are you ready to spend 5 sacred days in Australia at the Gymea Eco Retreat & Spa with your soul group? Join us on this sacred journey in the Land of Oz as we go deeply within to access the answers to our life’s query on the nature of reality. Let us work and play as one mind, one heart and one soul as we take the next step in our evolution to the New Earth. It is time to empower our spirit as the place holders of light and truth. We will be living and learning at Gymea Eco Retreat & Spa, which is nestled in a quiet secluded valley connected to expansive grounds of naturally undulating rainforest, with walking tracks and stunning views of Wollumbin / Mt Warning. 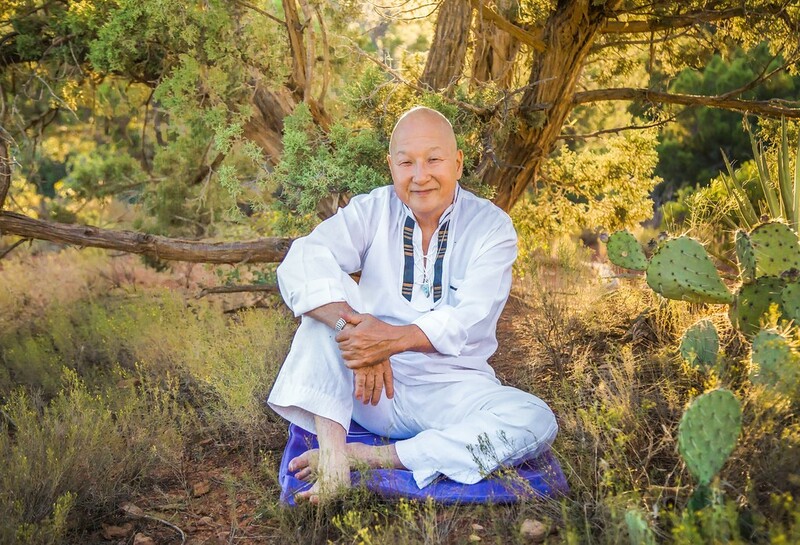 Kenji Kumara offers a gentle way to harness your innate power and knowledge as he guides you into the quantum field of many possibilities of transcendence, healing and awakening. As a light-weaver, he holds the power of Grace for you to embody and express in your life as you allow. The gift to you is one of spiritual blessings of infinite creativity, inner peace and divine awakening. Until midnight 30th June, we will be running a super early bird special for you, save $600 off the price of the retreat (and members get $100 off on top of that!). We are rewarding people who commit early. Now is the time for quantum change. What better than in beautiful Australia?